Kupupukupu (Nephrolepis spp.) are members of Lomariopsidaceae. There are several common naturalized swordferns and will hybridize with the native species. 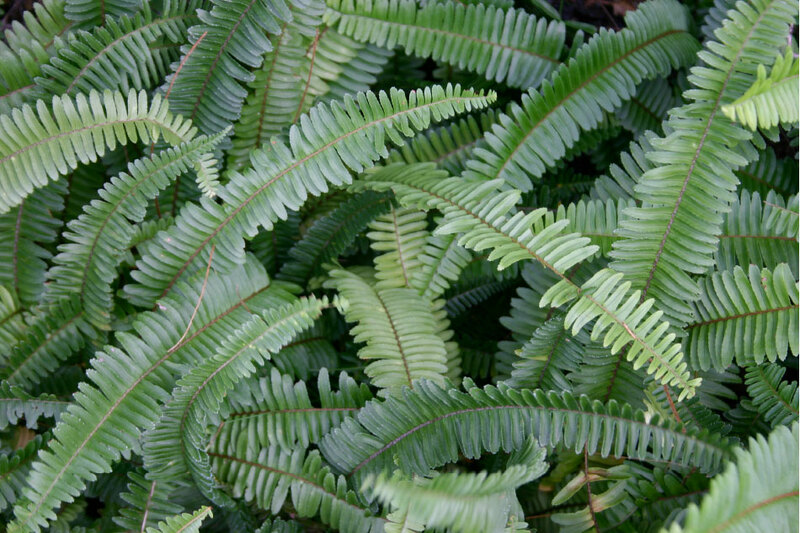 This is the only Nephrolepis species, or swordfern, in Hawaii that produce underground tubers on the stolons. The generic name Nephrolepis is derived from the Greek nephros, kidney, and lepis, scale, in reference to the kidney-shaped indusia (sori covering). The specific epithet cordifolia is from the Latin cordis, heart, and folium, leaf. Daniel Palmer in his publication comments: “If interpreted as “heart-shaped leaf,” a puzzling reference to the pinna shape of this fern.” The fronds were fashioned as into lei for the wrists and ankles called kūpeʻe or as haku for the head.